Welcome to Salon DMH located in the heart of midtown in Mobile, Alabama. We strive to deliver exceptional service to our salon guests as well as incredible education for stylists and guests alike. Guests can now enjoy a Salon Menu with customizable services that allow you to pick and choose exactly what you want for your own individual needs. You can add needed services to each appointment such as repairing treatments, custom color dimension, glossing and smoothing treatments. 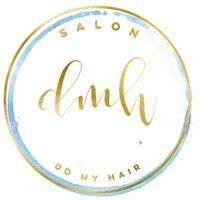 At Salon DMH, we believe in perfecting the individual uniqueness of everyone that asks us to "Do My Hair".